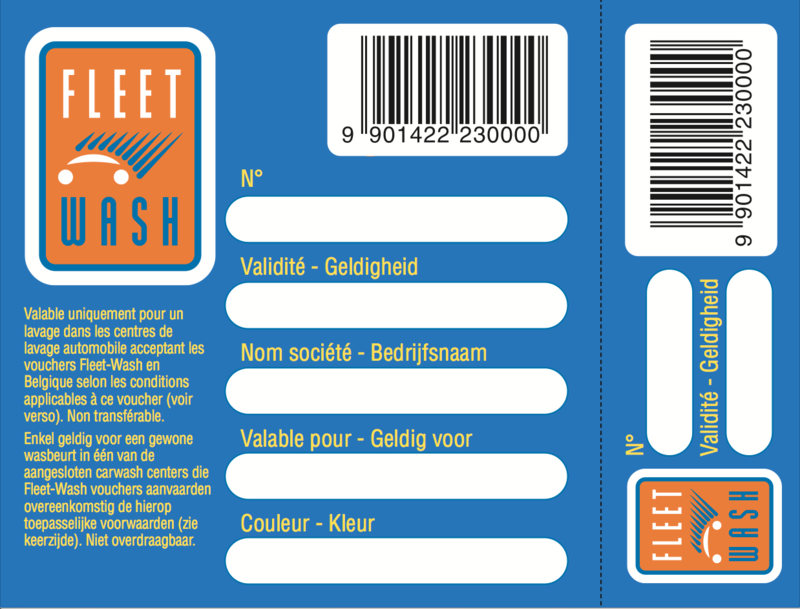 payment system which allows you to access its extended network of quality carwash centres present in all Belgium. In many companies the vehicles have become a communication tool as such. For these companies, Fleet-Wash is the best way to ensure that their cars are regularly cleaned and thus giving a positive image of the company. Fleet-Wash guarantees a quality cleaning which is the same in each carwash centre of our network. Thanks to Fleet-Wash, there's no need to have money with you to get you car cleaned, so no excuse anymore driving a dirty car ! - Blue (8,10 € excl. VAT) : classic vehicle, berline and break. - Red (9,90 € excl. VAT) : vehicle type monospace and 4x4. including external washing, wheels and drying of your car. The majority of carwash centres of our network use solvent products which are completely biodegradable and they also look after the waste water treatment accordingly to the current standards in their region. Payments with vouchers are actually meant to be used by companies. This kind of payment is accepted – without restriction – by all the carwash centres of our network. The vouchers are presented like a ticket, printed with a barcode, and can be personalized by adding the name of the company or even the licence plates of the vehicles. This allows controlling the days and exact places where each vehicle has been cleaned. The vouchers have validity duration of 6 to 12 months, according to the quantity ordered. An order can be placed by mail or made online. The invoice will be sent to you afterwards, and at reception of you payment, the vouchers are printed and sent to you by registered mail with acknowledgement of receipt. 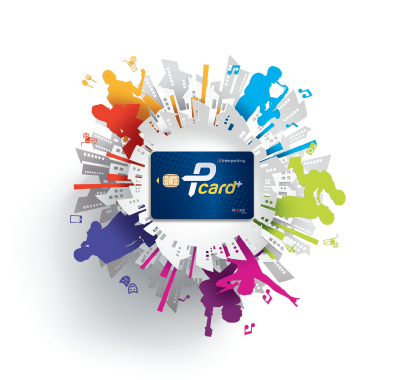 The Pcard+ allows you to pay your carwash in the carwash centres of our network. On the other hand, the Pcard+ also allows you to pay your parking in more than 70 parkhouses of the Interparking group spread all over Belgium, without passing at the cash desk. A very useful tool in order to avoid the manipulations with coins, to avoid loosing parking tickets or expense accounts, and especially to avoid loosing time ! Simply present your Pcard+ in front of the [P] logo when coming in and leaving the parkhouse, and your parking bill is paid ! - Private (private use) : Your Pcard+ will be backed by your credit card. extended network of quality carwash centres present in all Belgium.